On the front page of the local newspaper today WAS THIS STORY. It was printed online in the Washington Post yesterday. The article is by Andrew Roth. Does anyone know what’s going on in Japan as this is being written? The core at Chernobyl was contained. No one knows how to contain the 3 cores that completely melted down at Fukushima. Here is an interview from from almost three years ago. The mainstream media is giving us information about Chernobyl. Why are we not hearing about the ongoing problem in Japan? Could it be that someone is trying to play down the ongoing problems at Fukushima? Could it be that someone wants to dispel fears of the reality of Fukushima? 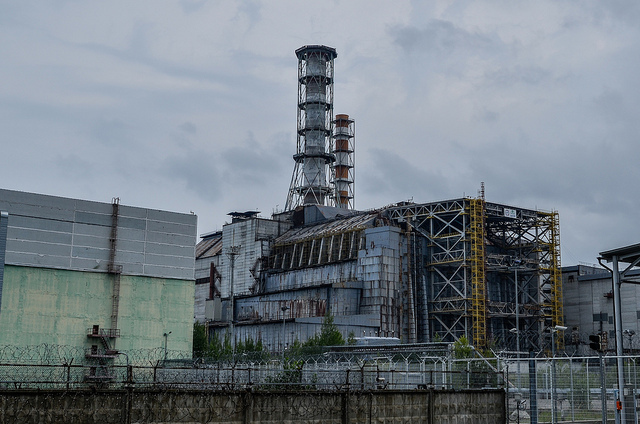 I don’t know, but I find the coverage of Chernobyl very strange particularly when the greatest nuclear disaster happened only 5 years ago as opposed to 30 years ago. This entry was posted on Tuesday, April 26th, 2016 at 11:51 PM and is filed under Commentary, Education, News, Science. You can follow any responses to this entry through the RSS 2.0 feed. You can leave a response, or trackback from your own site.